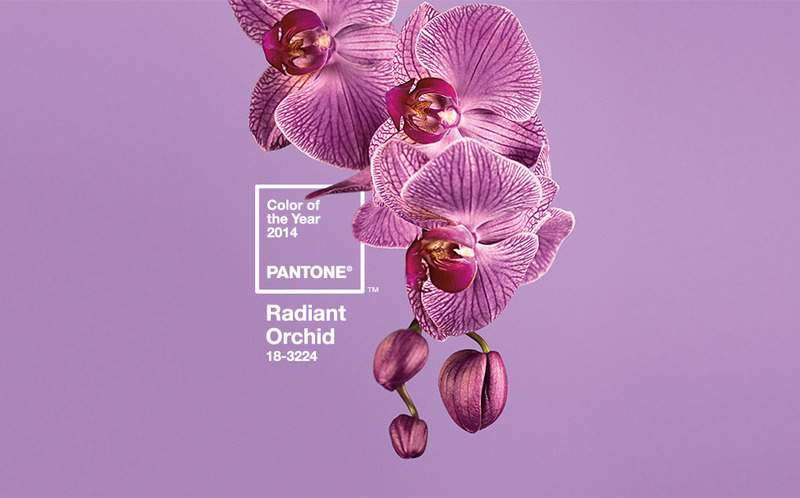 Remember Pantone Radiant Orchid? Last year this was launched as the “colour of the year” by Pantone, a company which seeks to capitalise on colour trends, which clearly change from season to season and year to year. And when it first came out I thought it was very bland, a light, muted sort of cool shade. And I decided immediately it was not a shade for me. Radiant Orchid. Sometimes the name affects you. I don’t dislike orchids, but it is not the sort of flower that appeals particularly. We have them in all the supermarkets and I associate them with old ladies who live indoors. 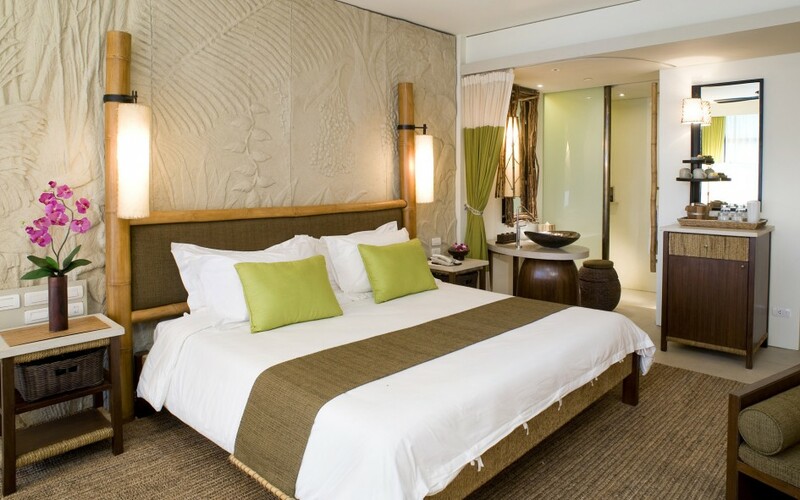 Also with a particular style of interior decorating that is basically neutral with one or two “exotic” “splashes of colour” provided by orchids, some of which may even be artificial. 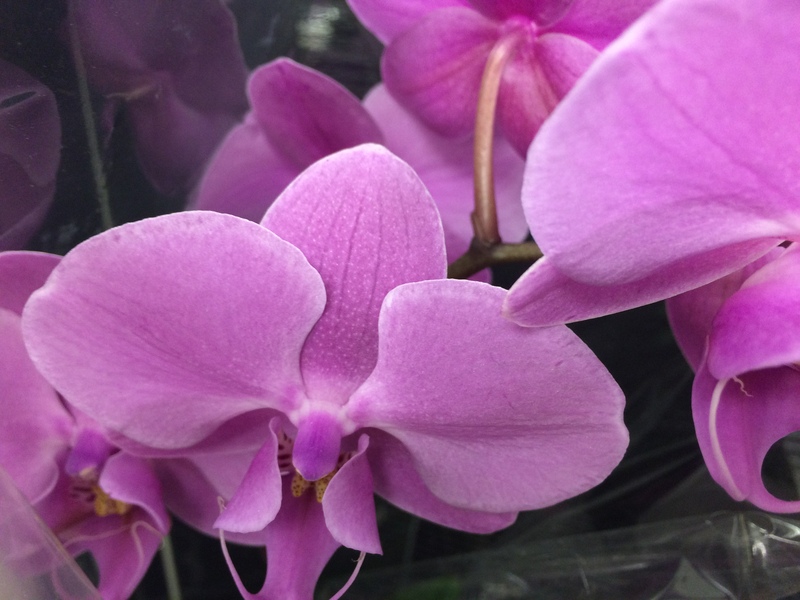 And just for comparison here are some actual supermarket orchids which are decidedly brighter but still pinky with a really bluish undertone. This just shows that colours and how we feel about them is very much a subjective matter. And they go in and out of fashion. When I was growing up everyone was painting their homes cream and brown. Then there was a fashion for grey and yellow. Then there was terracotta and blue. Then everyone went for beiges. Now I understand grey is the best seller (after white). Of course colours are in fashion, or not, and I was interested in my reaction to Radiant Orchid. I didn’t even bother to work out if it would be a colour that would suit me. I just didn’t fancy it. Then I found myself planning on buying a new Swatch in the airport on the way to Egypt. This was to replace my existing white Swatch that had got rather grimy and hardened. And I looked at the pink, a sugary pink, and thought about it, then spied this purply-pink one. 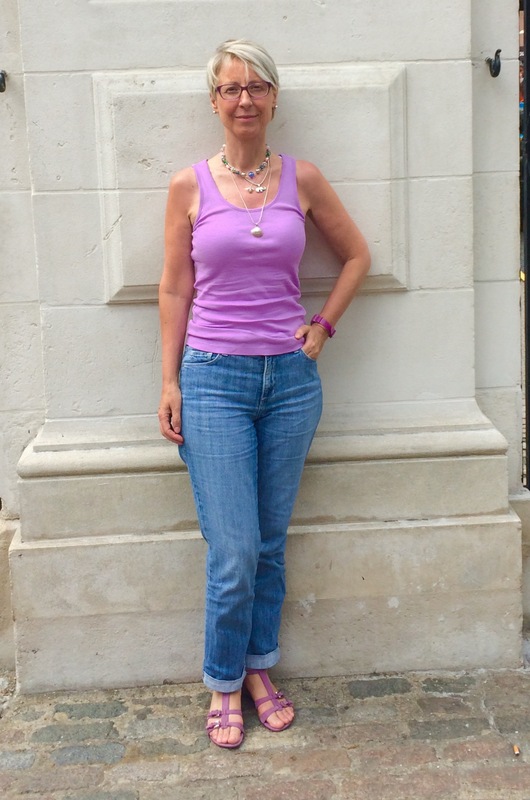 I have lots of pink in my wardrobe, but nothing whatsoever in this shade of purply pink. It was an available choice because it was a fashion fad. 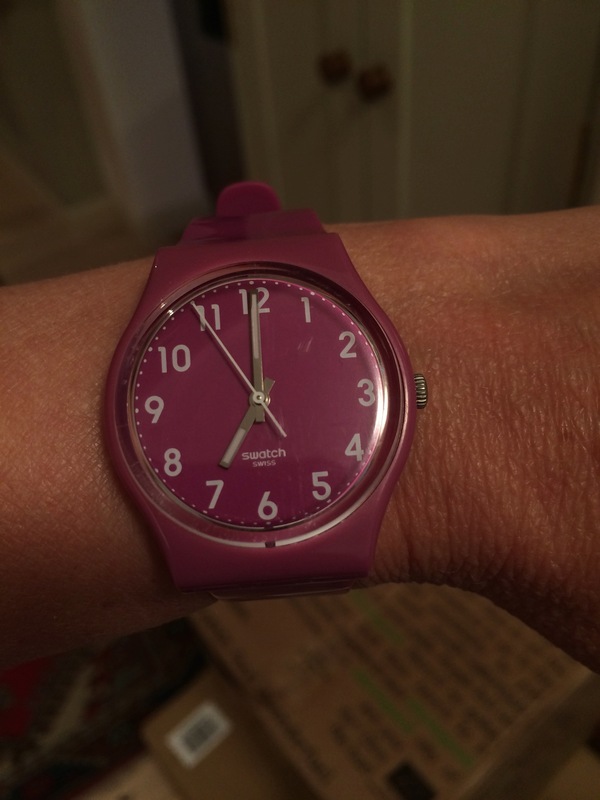 Somehow, inexplicably, it suddenly seemed “fresh” and new, and this was the watch I bought. I have worn it every day and began to like the colour. Then, on holiday, I went into an Ecco shoe shop. I don’t know if you like this Danish brand, but I find their shoes and boots particualarly comfortable. I found a nice pair of sandals in white, but they were full price. 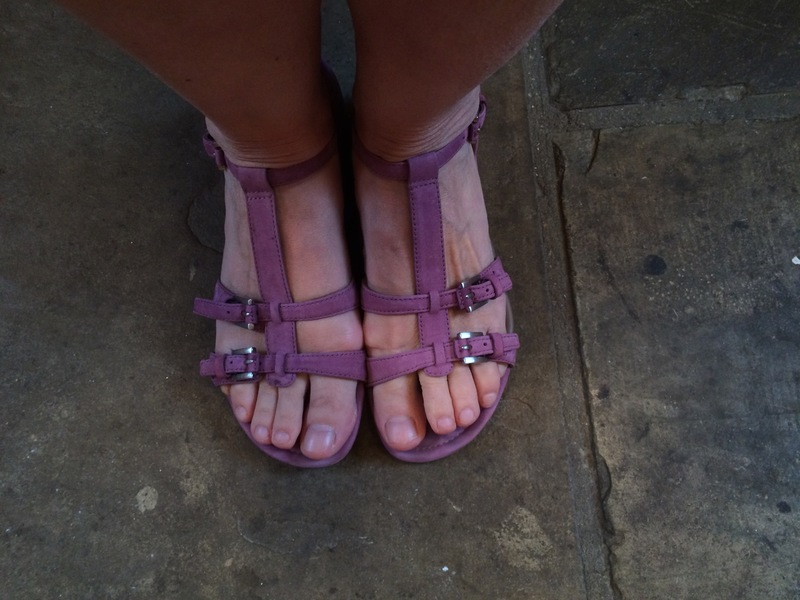 In the sale, at around £38, the same pair was available in radiant orchid. I already knew my watch looked good with much of my existing wardrobe – with jeans, with grey, navy or white. I was also really attracted to the little silver square buckles. I don’t feel I have purple feet but you can easily see in this photograph that this particular shade harmonises with my skin and the slightly blue look of my nails! Because I now have toning shoes and watch I felt the need for a top. I was therefore pleased to find this sleeveless T for £1.49 in Marks and Spencer. And here I am at the Lords, having watched the first day of the Ashes. I am not sure why I changed my mind about this colour. It now feels completely mine. I will mix and match these three items to create outfits that I can love. It seems to go with everything I already have but feels exciting as it is new to me. I asked Esme what she thought and she said it was a “little girl colour”, whereas I had seen it as old ladyish. Not long ago I had a similar experience with lemon. I thought it a fuddy-duddy old lady colour, and perhaps “lavender” has similar connotations. But now I am becoming an old lady I realise I was blind to their charms. Fascinating, and love your fun young take on it. I avoid that colour because it clashes with my beloved warm pinks. Somehow I can’t imagine Betty Windsor in a singlet and jeans. Can you? Pink is such a difficult colour, I think, because of the little girl, connotations, so I have generally avoided it, when younger, so I was taken seriously. Especially at work. This shade clearly suits you though, Which is the only thing, really. Enjoy! I rather like Radiant Orchid and think it goes well with my cool colouring. I also like Ecco shoes and have a few – I particularly like their golf shoes, which I wore this morning. I do feel that colours have connotations – I find that ‘mauve’ is rather old ladyish to me; I think it’s the darkness of it. I like your outfit and especially like your sandals. It’s funny, just yesterday I was thinking about wearing more purple, of a similar intensity to this but less pink for me (love the colour of sewniptuck’s recent project). I knitted a top in a similar colour to the one you are wearing a couple of years ago. I think this looks great on you and I love the accessories. Lavender was my grandmother’s favourite colour (along with pink), and my mom wears lots of different purples, including this one. I don’t think I’ve thought of it so much as an “old lady” colour as a colour that goes very well with white hair and softer colouring. That colour looks excellent on you! Do not shy away from it! – The T-shirt and shoes look great together…. To me, the colour looks “fresh”. Love the colour on you, I got purple sandals this year too. I enjoyed reading this post and your astute thoughts on how a name can influence our opinions. Sometimes those little pops of color, like radiant orchid, really make an outfit. It’s a great thing to remember in our sewing. And you don’t look “old ladyish” (or “little girlish”) at all! Thanks for these insights into how our preconceived notions can change. Was it just last year? It seems like I have loved radiant orchid longer! I caught on much sooner after picking up a piece of silk crepe de chine in that hue. I proceeded to purchase more of it, not realizing that every color looks better in silk. Interesting that you became a fan while in Egypt. There is a tale that the further north you go, the more neutrals you see (in terms of fashion). I don’t know if it’s true. It’s a lovely colour on you, and interesting to hear how your views changed. I particularly like the juxtaposition of the pretty pony and the Queen. Context is very important! Wow, you look terrific in the color (and the tank…..). As does the lady in the hat, maybe the first time the two of you shared a flattering color? Wow, never mind the colour, the vest and jeans look is great on you! It’s like you don’t need to sew!! I think I’ll have a look at those M&S vests; often I avoid buying vests as I suspect they’ll be of poor quality but with M&S, you kind of think they have their dependable reputation to uphold and that colour is not their usual fail! Hmm. I don’t wear vintage couture dresses all the time, you know! !